The giraffe paper holder is a giraffe statue with an extra long neck which you can use to hold your toilet paper on. 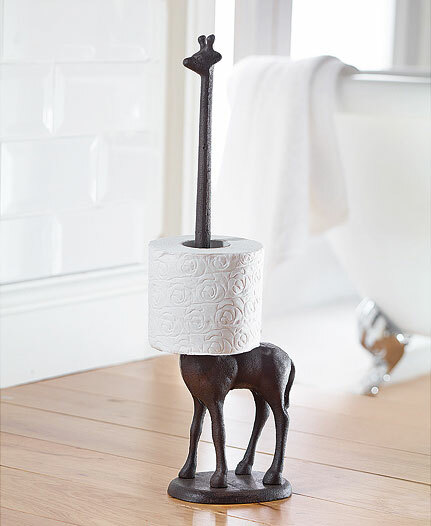 Simply take out a few rolls of pre-pooped-on paper, and insert them around the giraffes neck, thus humiliating him, and forever making him your bathroom slave. 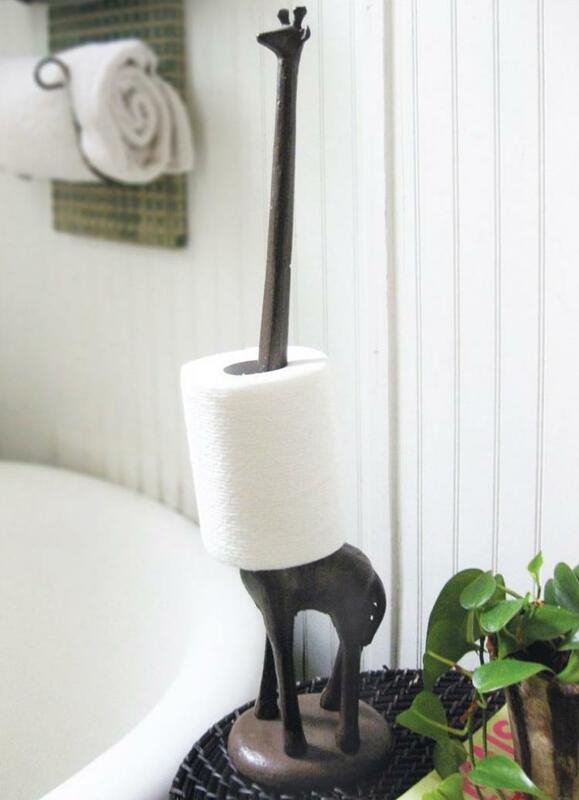 Not only can the giraffe hold your toilet paper rolls, but it will also work with a roll of paper towels in case you didn't want to hide the beauty of this majestic creatur next to your dirty toilet. 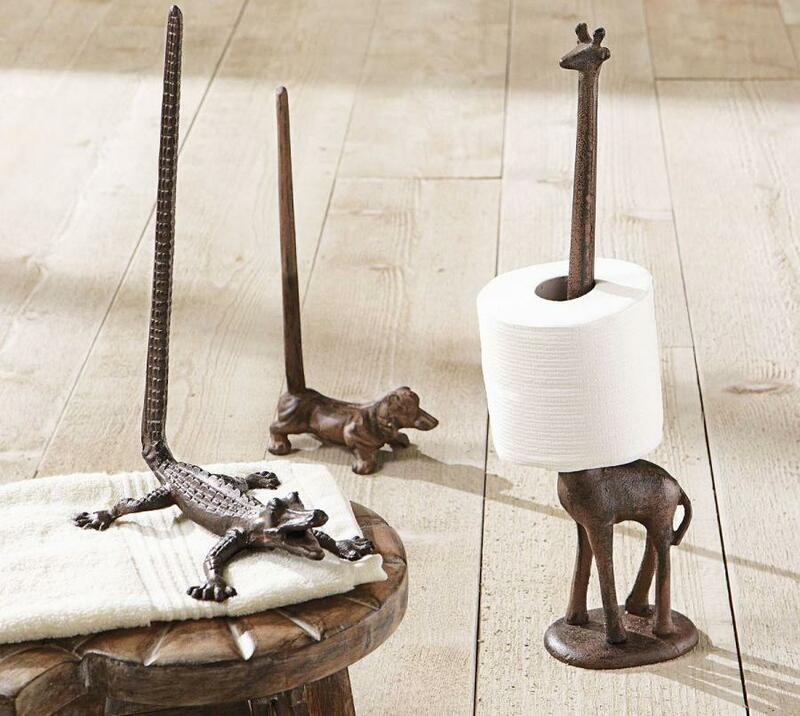 If you're not into giraffes there is also a version of an alligator and a dog, which both have large pointed-up tails they use to hold the rolls of toilet paper. 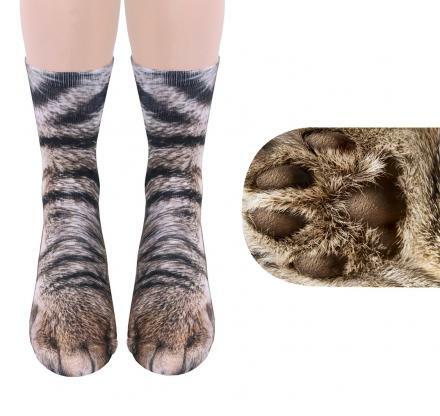 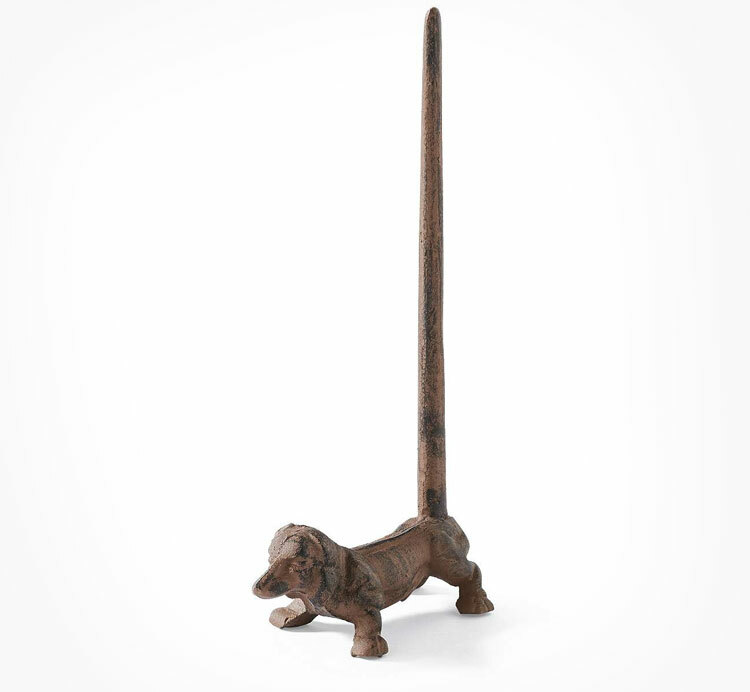 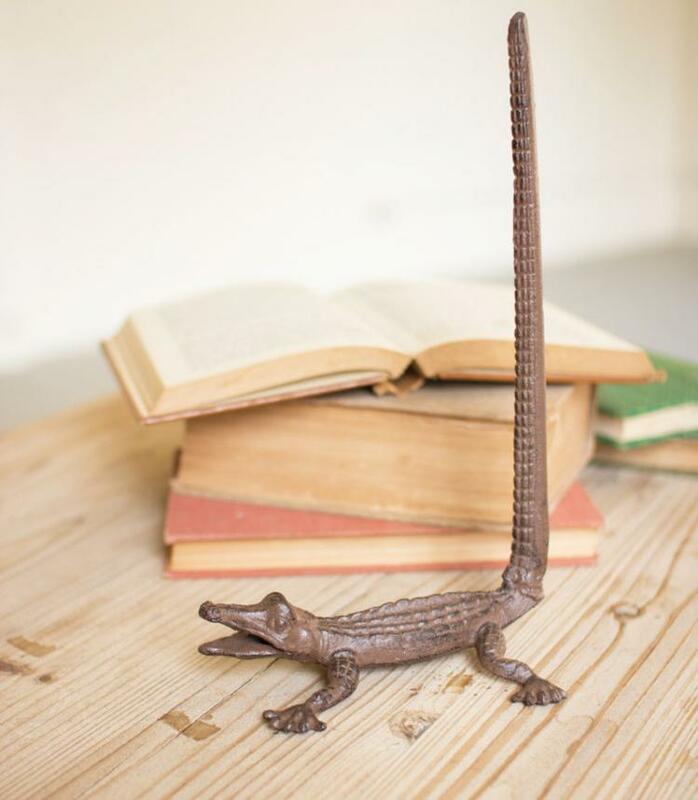 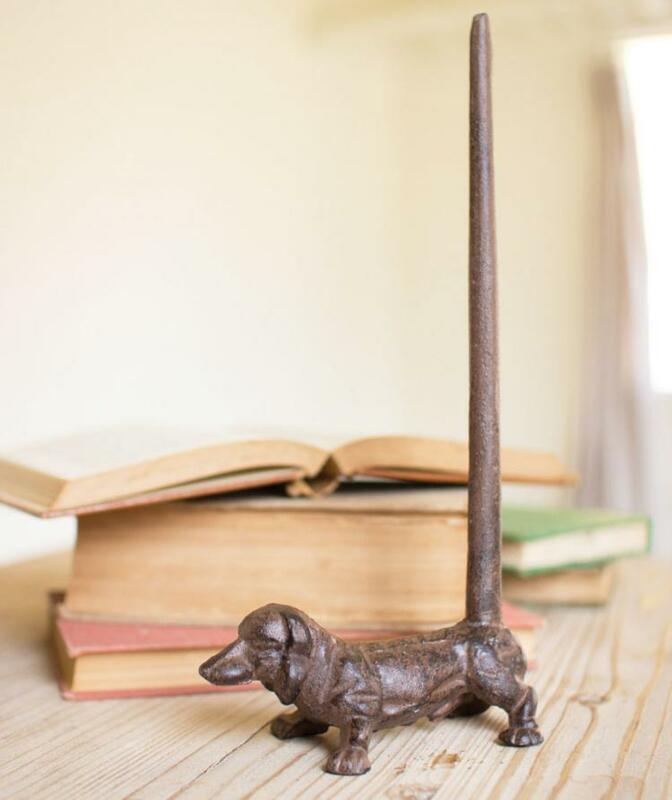 The animal toilet paper holders are made from solid cast-iron with a distressed chocolate brown finish, and each animal will hold up to 2 rolls of toilet paper or 1 roll of paper towels. 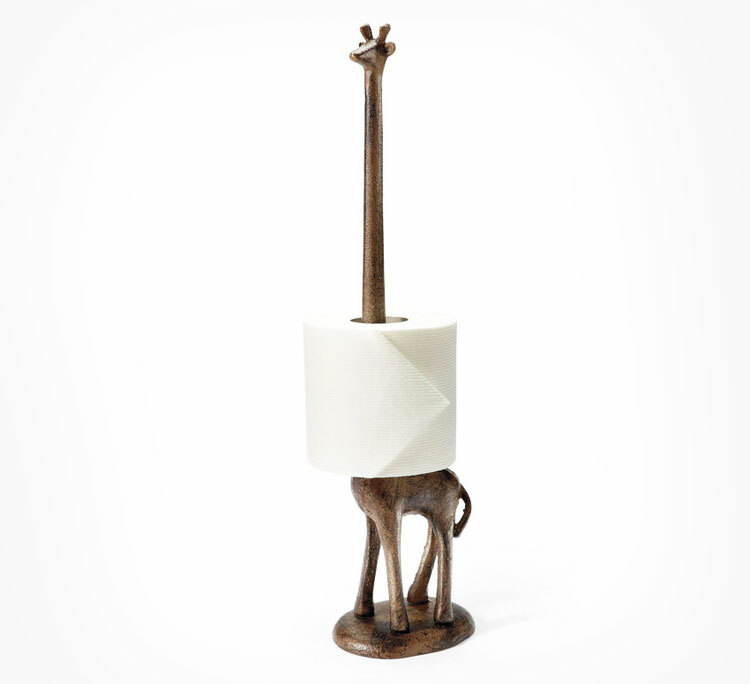 The giraffe paper holder measures 18.5 inches tall x 5 inches wide x 5 inches long, the alligator paper holder measures 12 inches tall x 7 inches long x 5 inches wide, and the dog paper holder measures 12 inches tall x 6 inches long x 2.5 inches wide. 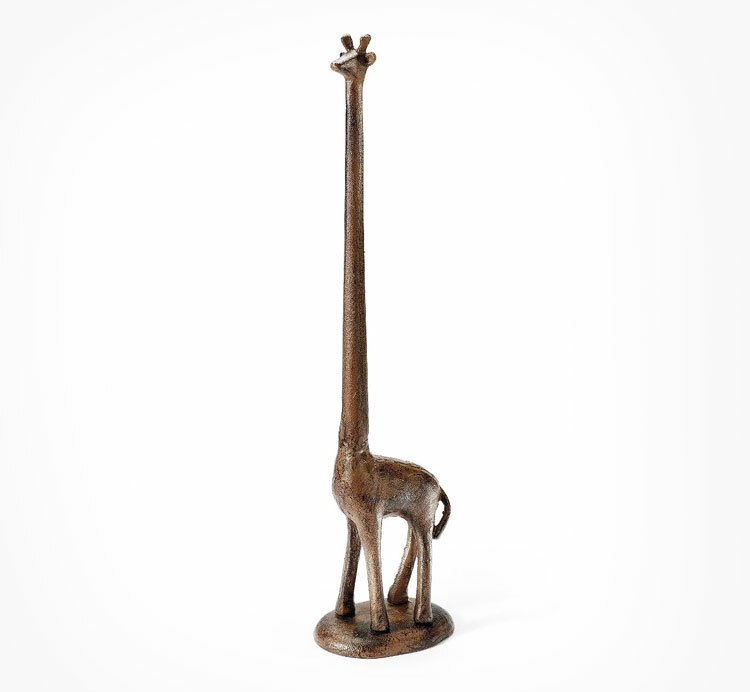 Each animal statue weighs between 2 and 3 lbs.